Vermont college students have many options when it comes to college selection. There are 23 colleges and universities in Vermont, including a research institution, several public and private colleges and universities, and multiple career and technical schools. 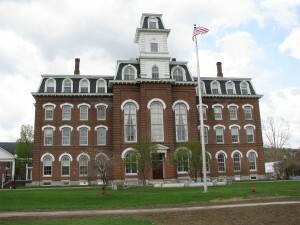 Many out-of-state colleges also offer degree programs in Vermont. Once Vermont students select a school, they must figure out how to pay for their education. Luckily, Vermont college students may qualify for free money for college from multiple sources, including federal and state grant programs, institution-based grants and scholarships and funding provided by special interest groups. The U.S. Department of Education Office of Federal Student Aid administers a number of federal grant programs to assist Vermont college students in funding higher education pursuits. To apply for federal education grants, Vermont students must first submit a Free Application for Federal Student Aid (FAFSA). The FAFSA will be processed and a student’s expected family contribution (EFC) towards educational costs will be calculated. The EFC is critical to determining a student’s federal grants eligibility. A federal Pell Grant is a need-based educational grant, providing free money for college to Vermont students who demonstrate financial need. Eligible students are enrolled at least half-time and have a minimal calculated EFC. Pell Grant recipients must be working towards their first bachelor’s degree or post-baccalaureate teaching certification. Pell Grant awards are different for every student and are based on individual financial position and estimated educational expenses. The maximum Pell Grant award for the 2011-2012 academic year is $5,550. Pell Grant-eligible college students in Vermont may also be eligible for a Federal Supplemental Educational Opportunity Grant (FSEOG). The FSEOG is a need-based grant that provides additional college funding up to $4,000 a year to Vermont students who demonstrate the most financial hardship. Like the Pell Grant, the FSEOG provides Vermont college students with money to pay for tuition, fees, books and other related school expenses, like housing and transportation. Virginia college students who qualify for a Pell Grant and who have completed a rigorous high school program as defined by the U.S. Secretary of Education may qualify for a federal Academic Competitiveness Grant (ACG). A rigorous high school academic program generally requires a student to complete a minimum of four years of English, three years of math, three years of science, three years of social studies and one year of language other than English. ACG’s are awarded to freshmen and sophomore students only. Freshmen receive $750 and sophomores receive $1,330. Virginia college students who are Pell Grant-eligible and are working toward a science, mathematics, technology or engineering degree qualify for the National Science and Mathematics Access to Retain Talent Grant (National SMART). The National SMART Grant is also awarded to Virginia students majoring in one of thirteen foreign languages identified by the U.S. Department of State as being critical to national security, including Arabic, Chinese, Hindi, Korean, and Russian, among other languages. A National SMART Grant awards up to $4,000 per year for junior and senior undergraduate students, and also may be awarded to fifth year students enrolled in a five year program. Virginia students who are training to be educators may qualify for a federal Teacher Education Assistance for College and Higher Education Grant (TEACH). The TEACH Grant provides up to $4,000 a year to eligible students, based not on financial need, but on the future commitment of the student to teach in a high-need field or in a low-income area upon graduation. TEACH Grant recipients must agree to teach for at least four years within eight years of graduation. TEACH Grant funds are distributed through participating schools, so students need to inquire with the financial aid office at the college or university they will be attending to determine eligibility. The Vermont Student Assistance Corporation (VSAC) provides Vermont residents with information about registering and paying for school. VSAC also administers multiple grant and scholarship programs for Vermont college students. To apply for VSAC grants and scholarships, students should first submit a FAFSA, then complete a Vermont grants and scholarship application. Interested students will need to create a myVSAC account at services.vsac.org. A Vermont Incentive Grant is available to any Vermont resident enrolled full-time at any college or university located anywhere in the country, as long as the school participates in the federal Pell Grant program. To be eligible, a student must be working towards his first undergraduate degree, unless he is enrolled at the University of Vermont College of Medicine or studying to become a veterinarian. A Vermont Part-Time Grant is available to any Vermont resident enrolled part-time at any college or university located anywhere in the country, as long as the school participates in the federal Pell Grant program. To be eligible, a student must be working towards his first undergraduate degree, unless he is enrolled at the University of Vermont College of Medicine or studying to become a veterinarian. A Vermont Non-Degree Grant is available to any Vermont resident enrolled in a course that does not lead to a degree. Students can take courses at a college campus, a continuing education center or at a private organization, so long as the organization is authorized to provide professional training. The goal of the Non-Degree Grants is to improve employability or encourage lifelong learning. Grant recipients may receive assistance for up to two semesters per fiscal year, for up to six semesters. VSAC administers over 150 donor-funded scholarship programs for individuals who are Vermont residents. Some notable VSAC-assisted scholarships include the Alfred T. Granger Student Art Fund, the Lee A. Lyman Memorial Music Scholarship, The Vermont State Grange Cobble Hill Agricultural Scholarship and the Town of Williston Historical Society Scholarship. For an annual listing of all VSAC scholarship opportunities, students should request a scholarship booklet which is updated each November. Scholarship booklets and additional information including frequently asked questions and answers are available on the VSAC website . The Vermont Teacher Diversity Scholarship Program (VTDSP) was founded to address the growing number of minority students in Virginia classrooms, and the lack of minority teachers. VTDSP offers support to minority teaching students in the form of a forgivable loan. VTDSP scholars who pursue traditional teacher education options in the form of a Bachelor’s or Master’s degree program are eligible for up to $12,000 in student loan forgiveness over a period of three years. VTDSP scholars who enter into a teacher apprenticeship program are eligible for up to $8,000 in student loan forgiveness over a period of two years. To qualify for VTDSP, applicants must be a racial or ethnic minority, attend college in Vermont, demonstrate academic achievement and commit to teaching in Vermont. While applicants from any state may apply, preference is given to Vermont residents. Interested Vermont students should visit the VTDSP website for more information and application materials. The Vermont Educational Loan Repayment Programs provide student loan forgiveness scholarships to primary care physicians, dentists, nurses and nurse educators. Funds for the four loan repayment programs are provided by the State of Vermont Department of Health, and are administered by the University of Vermont – College of Medicine’s Area Health Education Centers (AHEC) Program. The goals of the programs are to ensure there will be enough well-trained healthcare professionals to meet the needs of Vermont residents. Eligible applicants must be Vermont residents and must agree to provide medical care to rural and medically underserved areas within Vermont in exchange for the scholarship. The Vermont Educational Loan Repayment Program for Primary Care Practitioners provides up to $20,000 in student loan repayment a year for up to six years. Recipients must reapply annually. Vermont Educational Loan Repayment Program for Dentists provides up to $20,000 in student loan repayment a year for up to six years. Dentists must agree to see Medicaid patients as part of the service agreement. Recipients must reapply annually. Vermont Educational Loan Repayment Program for Nurses provides up to $10,000 in student loan repayment a year for up to four years. Recipients must reapply annually. Vermont Educational Loan Repayment Program for Nurse Educators/Faculty provides up to $20,000 in student loan repayment a year for up to six years. Nurses must have at least a Bachelor’s degree, and be employed as nurse educators or faculty member at a Vermont nursing program. Recipients must reapply annually. Interested Vermonters should visit www.med.uvm.edu for complete program details and application information. The Vermont Space Grant Consortium (VSGC) conducts a yearly competition to award ten Vermont Space Grant Scholarships worth $2,500 each to qualified undergraduate students to study science, technology, engineering and mathematics at a Vermont college. Recipients must plan to enter a field directly related to the aerospace industry and National Aeronautics and Space Administration (NASA) goals. Scholarships are funded by NASA’s National Space Grant College and Fellowship Program. Students must reapply each year they wish to receive the scholarship. VSGC also offers graduate research assistantships, Native American scholarships, aviation scholarships and NASA internships at varying award levels, in addition to a wide array of other services that support study in aerospace fields. For a complete listing of programs, eligibility requirements and application information, Vermont students can visit www.vtspacegrant.org. Price Chopper Supermarket awards ten merit-based scholarships a year to academically gifted students. All scholarship applicants must live within the store’s marketing area, with the exception of current Price Chopper employees. Employees who live outside the defined marketing area may also apply. Residents of the following Vermont counties are eligible: Addison, Bennington, Caledonia, Chittenden, Essex, Franklin, Grand Isle, Lamoille, Orange, Orleans, Rutland, Washington, Windham, and Windsor. Scholarship applicants must plan to attend an accredited college or university in Vermont or other New England state. All scholarship applicants must include a personal essay on the specified topic with their application packet and submit all required application materials by the specified deadline for consideration. The Founder’s Scholarship provides $8,000 for four years of study to two entering college freshmen each year. The ideal applicant is a strong student and displays strong leadership abilities. The Tillie Golub-Schwartz Memorial Scholarship for People of Color provides $8,000 for four years of study to one entering college freshmen each year. Applicants should be a member of a racial or ethnic minority group with a demonstrated commitment to humanity. The Lotte Meers Memorial Scholarship for Educators provides $8,000 for four years of study to one entering college freshman studying education each year. The Computer Studies Scholarship provides $8,000 for four years of study to one entering college freshman studying Computer Sciences, Computer Information Systems, Electronic Arts or Graphic Design each year. The Charles Pierce Memorial Scholarship provides $8,000 for four years of study to one entering college freshman each year. Applicants must either be a Price Chopper employee, the child or grandchild of a current, retired or deceased Price Chopper employee, or the child or grandchild of a current, retired or deceased Grocery Manufacturer’s Representative. The Junior College Transfer Scholarship provides $4,000 for two years of study to one student who has completed two years at a community college and is transferring to a four-year college as a college junior. Applicants must have earned an Associate’s degree. The Two Year Scholarship provides $2,000 for two years of study to one student entering an Associate degree program at a community or junior college. The Two Year Health Care Scholarship provides $2,000 for two years of study to one student earning an Associate’s degree in a health care field at a community or junior college. The Graduate or Professional School Scholarship provides $4,000 for two years of study to one student entering a graduate program. Vermont students may only apply for one scholarship opportunity. Complete Price Chopper Supermarket scholarship details and application information is available at scholarships.pricechopper.com. New England Employee Benefits Council (NEEBC) administers an annual scholarship program to encourage studies in the employee benefits field, including actuarial science, pension planning and corporate employee benefits design. The NEEBC scholarship program provides educational funding up to $5,000 a year, not to exceed the annual tuition and fees and on-campus room and board charges. The award amounts are automatically renewed each year for up to four years, upon student submission of supporting documents. Eligible college students will be enrolled in an accredited undergraduate or graduate degree program. Applicants must also be a resident of a New England state, including Vermont, or enrolled in a college located in a New England state. Current NEEBC Board members and members of their immediate family are not eligible to apply for NEEBC scholarship awards at this time. For more information about how to apply for a NEEBC scholarship, visit www.neebc.org. Vermont colleges and universities acknowledge that many students still have unmet educational expenses after receiving federal and state aid, and have created initiatives to provide Vermont students with additional tuition assistance based on merit and financial need. There are many other schools in addition to those provided here that also administer institutional scholarship programs. To find and obtain information about scholarship programs at a particular college or university not included in this list, Vermont students should visit the school’s financial aid website. According to information provided by Lyndon State College, approximately 85% of Lyndon students receive some form of financial aid, including scholarships. The Lyndon Promise Scholarship is offered to entering students and is renewable for a total of four years of assistance. First-year recipients must demonstrate financial need and academic achievement to qualify. To qualify for renewal, students must complete a minimum of 24 credit hours each academic year, maintain a minimum GPA of 2.0 and continue to have unmet financial need. Additional information can be obtained at www.lyndonstate.edu. The Early Promise Scholarship provides residents of Vermont’s most rural counties (Caledonia, Essex, Orange and Orleans) with scholarships ranging from $2,500 to $5,000 a year for four years of study at Lyndon. Eligible students must demonstrate financial need, be the first in their family to attend a four year college, attend classes full-time and maintain a minimum GPA of 2.5. Vermont students may obtain complete scholarship details and an application at lyndonstate.edu. The Presidential Scholarship is a merit-based award offered to out-of-state first-year students admitted to the University of Vermont. Most Presidential scholars graduated in the top 20% of their high school class, and earned a minimum of 1800 on the SAT or 26 on the ACT. Presidential scholars receive up to $11,000 a year for up to four years. Recipients must maintain a minimum 3.0 GPA and enrollment in at least 12 credit hours per semester to qualify. Complete scholarship details are available at the university website. The Green and Gold Scholarship is a merit-based program providing a full tuition waiver for four years to incoming college freshmen who graduated from a Vermont public high school. The value of the Green and Gold Scholarship currently exceeds $51,000 over the course of four years. There will be one Green and Gold scholar selected from each Vermont public high school. High school principals nominate one senior at the beginning of each school year based on work completed in the first three years of a student’s high school career, and the criteria is not to be limited to standardized test scores. To maintain eligibility for the Green and Gold Scholarship, students must maintain a cumulative GPA of 3.0 and full-time enrollment status. Additional scholarship information is accessible at the university’s scholarships page. Johnson State College indicates that institution-based awards are the primary scholarship type awarded at the college. Numerous scholarship opportunities are available to both incoming and current students. Some of the more noteworthy scholarships are listed below. The Agnes Lindsay Trust Scholarship provides a one-time need based award of $1,000 to rural New England residents, including those in Vermont. The Arthur Dibden Talent Scholarship provides a one-time merit based award of $1,500 to talented fine arts students. The Hospitality Industry Scholarship provides $1,500 per year for up to four years to full-time students majoring in Hospitality and Tourism Management. Alumni Association Scholarship provides awards ranging in value from $250 to $1,000 to students based on academics, talent, leadership and financial need. A complete listing of the many scholarship opportunities administered by Johnson State College is available at the college’s website. Vermont Technical College offers program-based grants to students in over 20 majors, including automotive technology, dental hygiene, fire safety, nursing and respiratory therapy. Some prominent scholarship opportunities are described below. The Abraham Shapiro Memorial Scholarship is open to all students in all majors who demonstrate financial need and are Vermont residents. The scholarship amount varies up to $1,000. The Vermont Women in Technology Scholarship Program provides educational funding to women students majoring in Electrical, Computer, Civil, Mechanical, or Electromechanical Engineering. Applicants must also be a Vermont resident in good academic standing. A complete listing of Vermont Technical College scholarship opportunities and links to applications can be found at www.vtc.edu/scholarships. Vermont’s SIT Institute, formerly the School for International Training, provides numerous need-based scholarships to support graduate students pursuing international studies. The SIT Peace Fellowship was established to create peaceful relationships by fostering understanding across different cultures. The full scholarship provides funds to cover the tuition, fees, books, housing and food. The SIT Peace Fellowship is available to students enrolled in Intercultural Service, Leadership, and Management or the Master of Arts in Teaching degree programs. Applicants must have a minimum of three years of previous experience performing international peace-related work, including but not limited to Peace Corps service. The AmeriCorps Scholarship is a competitive scholarship providing $5,000 to AmeriCorps volunteers who have completed at least one year of service. Additional criteria include an applicant’s work experience during AmeriCorps service, as well as professional endeavors before and after. The National Peace Corps Association scholarship program awards multiple scholarships in the amount of $10,000 each year to students who have served in the Peace Corps for at least a year. For a complete listing of all grants and scholarships available to Vermont students at SIT Graduate Institute please visit www.sit.edu. The National Association of Social Workers (NASW) Vermont Chapter provides two Gilman Scholarships in the amount of $500 each year. The scholarship provides educational funding to Vermont residents enrolled in an accredited undergraduate or graduate social work program. Eligible students must demonstrate unmet financial need, be in good academic standing, and provide service to their communities. Gilman scholars may reapply for the scholarship each year. Additional scholarship information, including contact information, can be found at www.naswvt.org. The Associated General Contractors of Vermont (AGCV) established a scholarship fund to promote careers in the construction industry. AGCV awards three $1,000 scholarships each year to students with unmet financial need studying a construction-related field. The scholarship does not automatically renew, but students may reapply each year. 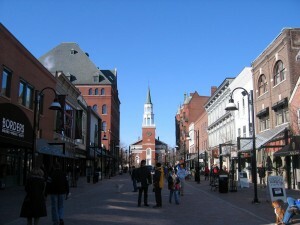 Interested Vermont students should visit www.agcvt.org for more details and application information.